The World in the Satin Bag: The Sequel We Deserve: Galaxy Quest...2 or the Show? The Sequel We Deserve: Galaxy Quest...2 or the Show? I wish... It’s complicated. I can’t get into it because it only gets me angry, because I’m so proud of that movie… For a while there, and someday we may actually get there, we actually talked about doing a television show which would be sort of fun because it would be a TV show looking at a movie that’s looking at a TV show, something like that. So I wish I could answer you and I wish we did have a sequel or certainly a half hour comedy based on it. So we’ll see. It’s not over. studios put up the dough to make one. The primary benefit to a film is its length. With two hours, you can effectively create a parody and adventure story all in one, without disrupting the viewing process with the disconnected sitcom form -- every moment leads to somewhere else. But films also limit the comedic frame, as overloading those two hours with references, jokes, and so on can pull apart the plot. This is what has happened with the various incarnations of Scary Movie -- each became less and less about the characters existing within a parody and more about the parody itself. The result? Crappy films. Granted, a lot of folks would disagree with me, but I'll stick by the claim. Under the proper writing and direction, Galaxy Quest 2 could easily surpass its predecessor -- the folks who were behind the original should return if a sequel film ever happens. Having said that, though, I have to admit that a TV series might offer a different set of useful conditions for a parody. First, Galaxy Quest is an obvious parody of the most popular science fiction TV show of all time: Star Trek. While the film never tries to follow the exact format, that doesn't mean it wouldn't benefit from taking things to the episodic level. Personally, I would prefer to see 45-minute episodes rather than the traditional 23-26-minute sitcom form. Doing so would let the writers play with the interconnected storylines, parody the narrative form of Star Trek and other TV franchises, and develop characters and comedy in a more efficient, laugh-track-free zone. 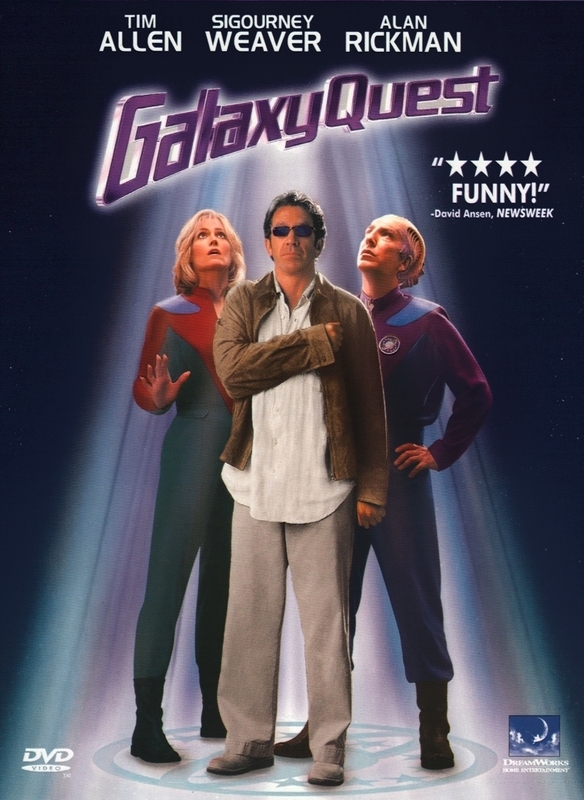 Galaxy Quest doesn't deserve a laugh track, but it does deserve sufficient space to explore the parodic form. A film might let the franchise expand and develop certain aspects of its universe, but a direct narrative parody would do so much more.